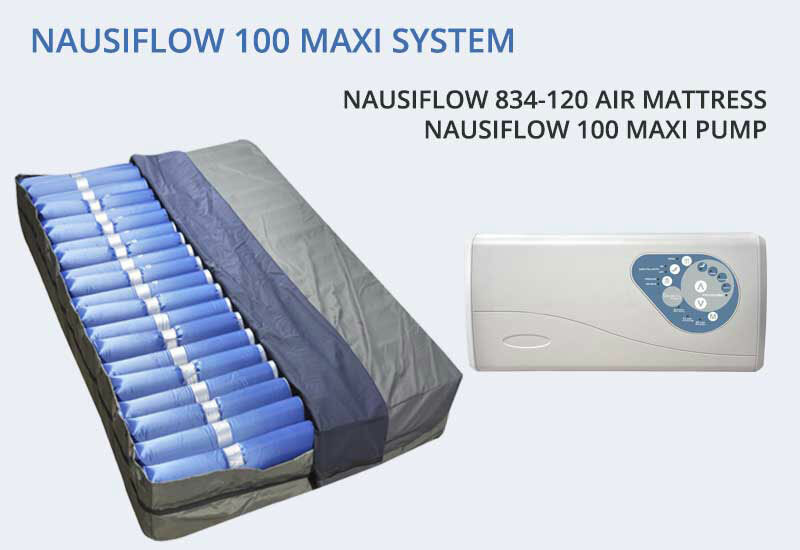 NAUSICAA Medical provides a range of Pressure Care Systems (pumps and air mattresses) which focuses on anti-decubitus prevention and care. 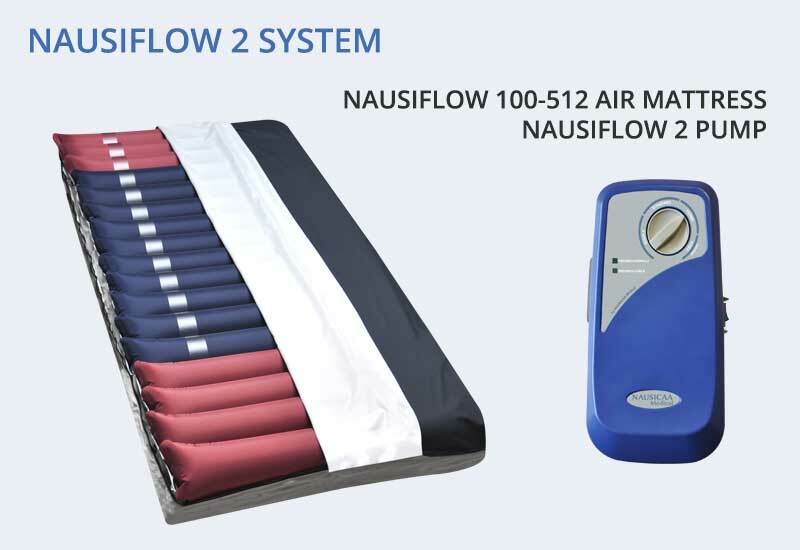 Our products are designed to improve patient clinical results through the management of the complications caused by immobility and to ensure an effective support for the prevention and treatment of pressure ulcers. 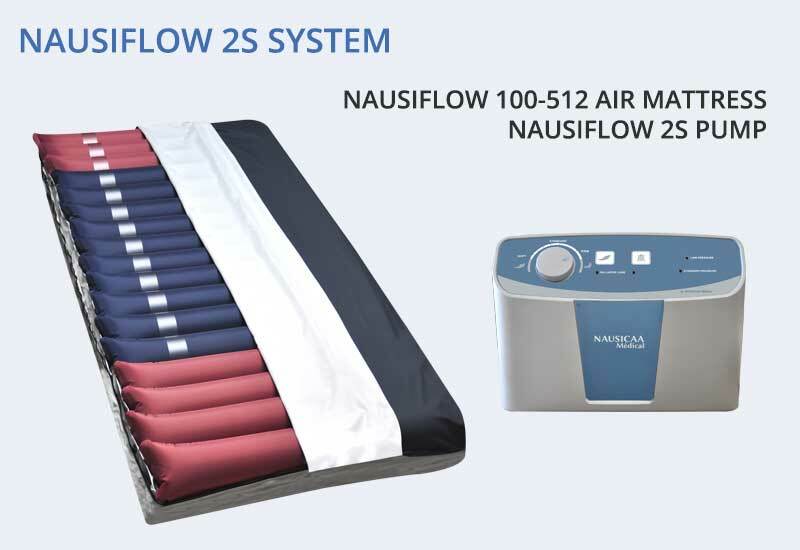 This line of products aims to provide a bedding suitable for bedridden people, complies to all sizes of beds and adapts to the patient’s condition, morphology, weight and number of hours spent in bed. The first prevention of pressure ulcers is to change the bearing points of the body on average every 3 hours to limit the prolonged compression of the blood vessels in relation to the bony prominences and to allow tissue irrigation. – it performs a regular and alternating discharge of each body area in contact with the support. – it avoids a prolonged pressure in the same place and stimulates the vasodilator reflex. – the patient immersion in the support increases the contact surface and thus reduces the pressure on the body in order to maintain it below critical levels. 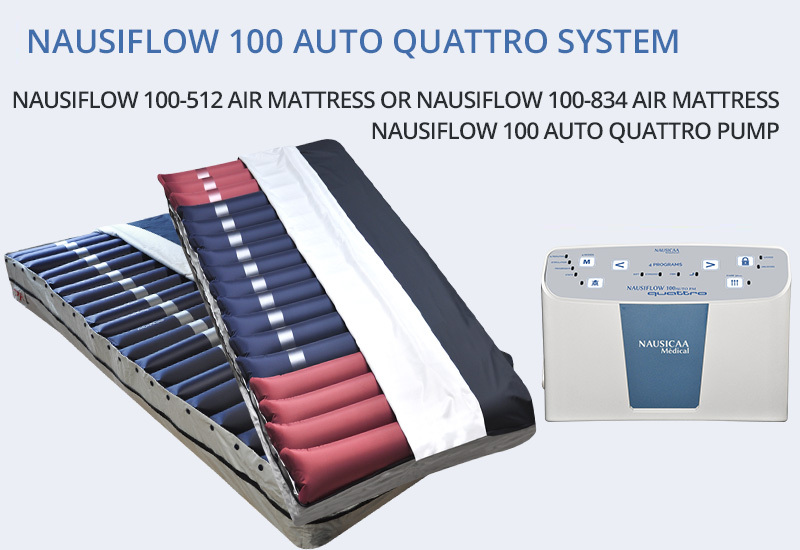 – it enables a compromise between patient comfort and therapeutic benefits of the support.